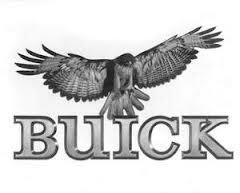 So exactly how many Turbo Buick Regals were produced from 1978-1987? Total Regal Grand Nationals produced from 1982 to 1987 was 30,022. Total Turbo Ts produced: 1,547 in 1987 only. Total Regal T Types produced was 22,806. Total Turbocharged Regal Sport Coupes produced from 1978 to 1979 was 59,896. Rarest Grand National: The 1982 with only 215 produced. Rarest Turbocharged Grand National: The 1984 with 2000 produced. Rarest Turbocharged Regal (non GNX): The 1987 Regal Limited with only 1,035 produced. Second Rarest Turbocharged Regal: The 1987 Turbo-T with only 1,547 produced. Rarest Regal Sport Coupe: The 1982 with only 2,022 produced. Quickest stock Turbocharged Regal: The 1987 GNX. Quickest stock Turbocharged non-GNX Regal: The 1987 Turbo-T.
Quickest Grand National: The 1987 Model. *** GM Canada indicates that this figure is for models 4GJ47 only, therefore not including Regal Limiteds. Please note that all figures shown, except for WE2 obviously, include turbo and non-turbo cars. Most of this information is taken directly from the “Facts and Figures Book”. This book is an excellent source of technical (and interesting) information on the Turbo Buicks!